* Charles Mitgang, MD, P.C. has expanded its offices to 2,750 s/f. Yaffe handled this transaction. * John H. Maloney Associates/Aria Employee Benefit Services, Inc. has leased 2,000 s/f. Michael DiDonato of The Navigator Consulting Group, Ltd. represented the tenant. * Isaacson, Schiowitz & Korson, LLP has leased 2,350 s/f. 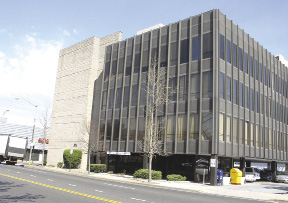 Neil Creedon of Colliers International Long Island, Inc. represented the tenant. * Unlimited Abstract LLC has leased 3,175 s/f. Harris Rousso of Real Estate Strategies, Ltd. represented the tenant. * Michael S. Block, MD, P.C. has leased 1,500 s/f. Joseph Lopresti of Jones Lang LaSalle represented the tenant. "With close proximity to the Rockville Centre LIRR station and South Nassau Communities Hospital, 371 Merrick Rd. attracts quality medical and professional tenants," said Yaffe. "We're delighted to add these firms to our roster." Triangle Properties, a sister company of United Realty, is one of the most knowledgeable and experienced realty companies on Long Island. Triangle Properties also owns and manages an extensive portfolio of buildings on Long Island. In addition, they manage buildings and properties for other businesses.